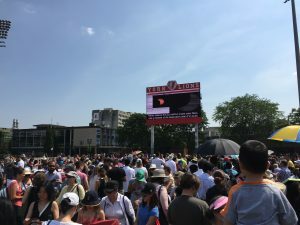 The York University Observatory and Let’s Talk Science at York University hosted a highly successful Solar Fair event on August 21 that drew more than 1,500 people. See the recap in yFile and coverage by CTV News. More than 30 Science and Health students participated in the 2017 Summer Undergraduate Research Conference, hosted by the Faculty of Science on August 11. See highlights in yFile. Michael DeRobertis (Physics and Astronomy) received funding from eCampus Ontario for his Open Textbook proposal, Adaptation of an Open Educational Resource (OER) for Introductory Astronomy Courses. Recent York Science PhD Hyekyoung Sung (Biology) received a York Postdoctoral Fellowship. Graduate student Elder Pinzon Guerra (Physics and Astronomy, supervised by Sampa Bhadra) received a Japan Society for the Promotion of Science (JSPS) Fellowship. Graduate students Cherie Brown and Ryan Siu (Biology, supervised by Georg Zoidl) were selected as speakers for the International Gap Junction Conference (Zoidl’s lab was the only group from around the world that had two students selected for oral presentations). Cherie received a speaker’s award for her presentation and Ryan received a travel award. Research conducted in the labs of Andrew Donini and Scott Kelly (Biology), including by former postdoc Heath MacMillan and graduate students Gil Yerushalmi and Sima Jonusaite, was published in Nature Scientific Reports and profiled in yFile. Trueman MacHenry (Mathematics & Statistics) presented a talk at the South American Algebra Conference in Ecuador. Chris Lortie (Biology) presented “Alpine niche facilitation” and “QA/QC for ecological data” at the Ecological Society of America meeting. Ryan Hili (Chemistry) published “A platform for high-throughput screening of DNA-encoded catalyst libraries in organic solvents” in Chemical Science. Thomas Baumgartner (Chemistry) published “Electron-accepting π-conjugated species with 1,8-naphthalic anhydride or diketophosphanyl units” in Materials Chemistry Frontiers. Huaiping Zhu (Mathematics & Statistics) and his graduate student Yiyuan Wang collaborated with Peel Public Health and Toronto and Region Conservation Authority to publish The impact of weather and stormwater management ponds on the transmission of West Nile virus in the Royal Society Open Science. Zhu also published Modeling the transmission and control of Zika in Brazil in Nature Scientific Reports. The Laboratory of Mathematical Parallel Systems, directed by Huaiping Zhu (Mathematics & Statistics), hosted the Models and Dynamics of Mosquito-borne Diseases symposium. The international T2K Collaboration, which includes Sampa Bhadra (Physics & Astronomy), strengthened its previous hint that the symmetry between matter and antimatter may be violated for neutrino oscillation. The results were presented at a colloquium at the High Energy Accelerator Research Organization in Tsukuba, Japan. Hélène Mialet (Science & Technology Studies) published A singularity: where actor network theory breaks down an actor network becomes visible in Subjectivity. Scott Menary (Physics & Astronomy) and the ALPHA Collaboration reported the first detailed observation of spectral lines from an antimatter atom. The Toronto Star profiled our Science Engagement Programs in a story about the Fresh Air Fund, which supported our summer camps this year. Dean Ray Jayawardhana was profiled by The Toronto Star in the lead up to the solar eclipse. On the morning of the eclipse, he was interviewed on CBC Radio’s Metro Morning and CBC TV News Network. A Metro News article also quoted him. Paul Delaney (Physics & Astronomy) spoke to VICE Motherboard about how to make a pair of DIY solar glasses, as well as to Global News, CTV News, CBC TV, The Star, Newstalk 1010 and other outlets about the eclipse, Perseid meteor shower and other astronomy-related events. 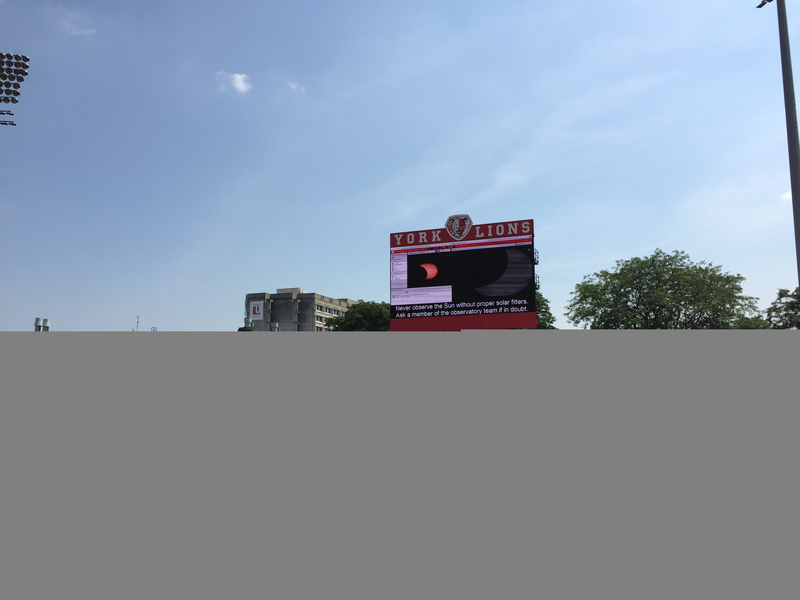 Norbert Bartel (Physics & Astronomy) spoke to Newstalk 1010 about the solar eclipse and the 40th anniversary of the launch of Voyager. Graduate student George Conidis (Physics & Astronomy) co-hosted eclipse coverage with CBC TV. Sept 14: Carswell gift announcement, 12 pm in LSB Lobby. RSVP: http://www.yorku.ca/eventrsvp (event code 1156). Sep 21: Open Forum for faculty and staff, 10am-12pm, Lumbers 306.